These cookies are almost too beautiful to eat! For bakers of all skill levels, this delightful book features 50 projects to try with a wide range of different decorating techniques: elegant cookies piped with royal icing, or fun and funky fondant cookies, or cookies made with amazing colored dough, or built up into awesome 3-D cookie sculptures! The projects are grouped according to the type of icing used, and a neat icon shows roughly how long it takes to make each one. And at the back of the book is a selection of cookie recipes, decorating tips, and a set of templates. With step-by-step instructions and photography, each project features simple, elegant designs that are guaranteed to amaze and delight. 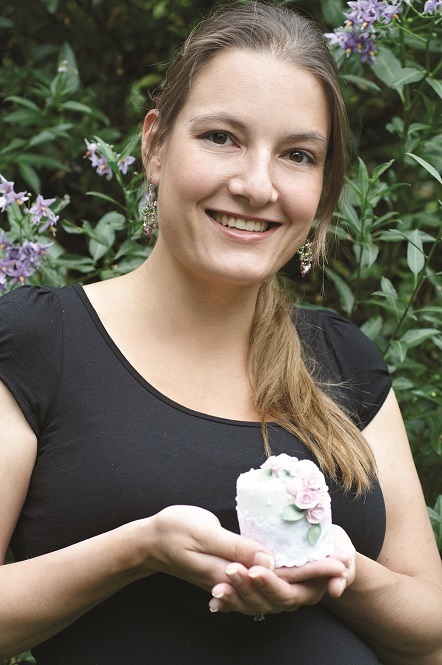 Fiona Pearce started cake decorating as a hobby in 2009 when she moved to London from Sydney. Her cake designs are predominantly inspired by the vintage era and her passion lies in creating small baked treats such as cupcakes, cookies and small celebration cakes, and teaching others how to make them.Fiona has won a number of awards for her cake designs and regularly posts free cake decorating tutorials on her blog (www.icingbliss.blogspot.com) and facebook page (www.facebook.com/icingbliss) for readers to enjoy.